Save money and purchase your fuel in a heating oil buying group. If you’re looking to join or set up a heating oil buying group in your community, or maybe you’re already running or part of one already. Here at Crown Oil, we are more than happy to help to supply such community efforts who group together in order to make savings by bulk buying as a collective. The easiest way to learn more about how we can help you along with some advice on how we can best help you are your community of group buyers. Give our friendly team a call today on 0845 313 0845. Here at Crown Oil, we’re an independently owned, family-run business, established over 70 years ago to help the local communities and businesses in the North West with fuels and oils. We’ve since expanded to be able to supply businesses Nationwide, but remain committed to helping domestic customers in the North West. 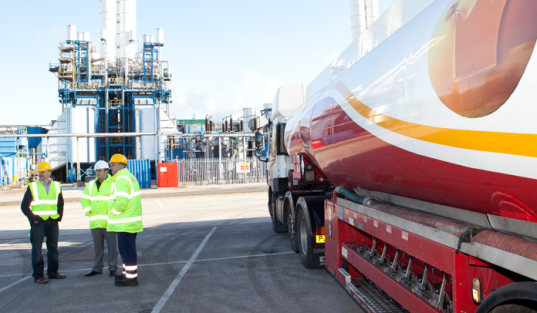 Unlike other oil companies, we can offer delivery of your heating oil the very next day with our 24-48 hour deliveries. So you won’t have to wait too long for your local community group buying collective to be topped up. If you have a group who currently buys heating oil, or you are already part of a heating oil buying group who’s looking for a new supplier or just looking to lower your heating oil prices more… please fill in our quote form, or give us a call on 0845 313 0845 and one of our staff will be more than happy to assist you with your heating oil requirements. One of the best ways is just to ask your neighbours, as most people are looking to save money and by buying together. That way, you will also be helping to reduce harmful emissions as there will be fewer tankers on the road making multiple drops to the people within your community. 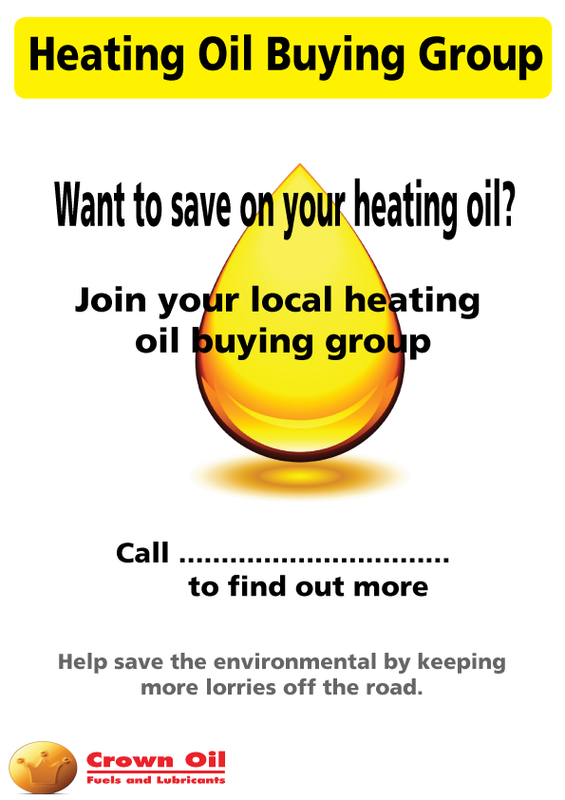 A good way of getting people to join is to ask your local shop if you can put a heating oil buying group leaflet in their window. This is a sure way to get people on to the oil buying group. Here is a leaflet you can use if you wish to do this – Heating oil buying group leaflet. Interest in central heating oil purchasing groups is increasing with local clubs and societies becoming more aware of the potential savings on the price of their domestic heating oil by buying in bulk. Discount in Unit Rate – Most oil suppliers offer a discount on estimated schedule rates for greater volumes as it decreases delivery prices. The benefit of a heating oil buying group is that all participants take advantage of the entire volume rate reduction regardless of the specific volume ordered. Fewer Truck Movements – An oil purchasing group of five households has the potential to decrease the amount of supply tanker trips in the region from five to one. If each member of the group takes three supplies a year, this can reduce the number of truck movements from 15 to just three – nontoxic for the public and good for the environment. Community Cohesion – Local settlements or towns can collaborate for shared benefit, which can help to unite communities. As defined above there are rewards of being a participant of an oil purchasing group, but there are likewise some important points to ponder before scheduling or joining a group. It is worth remembering that participants do not need to purchase heating oil exclusively through a group. They are allowed at any point to purchase oil themselves as their separate needs command and consequently do not need to postpone until there are adequate numbers in the oil purchasing group before they can place an order with the heating oil provider. Keep the Purchasing Group Native – When planning a heating oil buying group, it is imperative to ponder the size of the membership and the region it will cover. A native area can be a road. Working With Partners – Inhabitants interested in planning an oil club might form a functional group to get interested parties together. 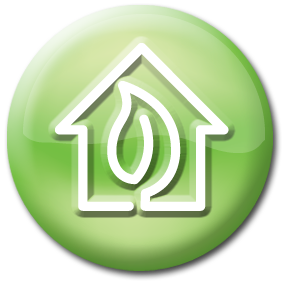 Once you know the quantity of Heating Oil you and your group collectively require for your homes. Give our friendly team a call and they’ll be able to answer any of your questions and advise you on how to proceed with your order. Alternatively, you could also fill in our online quote form, but it would be advisable to call as we need to be made aware of the locations of all of the properties requiring a heating oil delivery.